2) The only Spanish you speak is from the menu at Señor Fish. 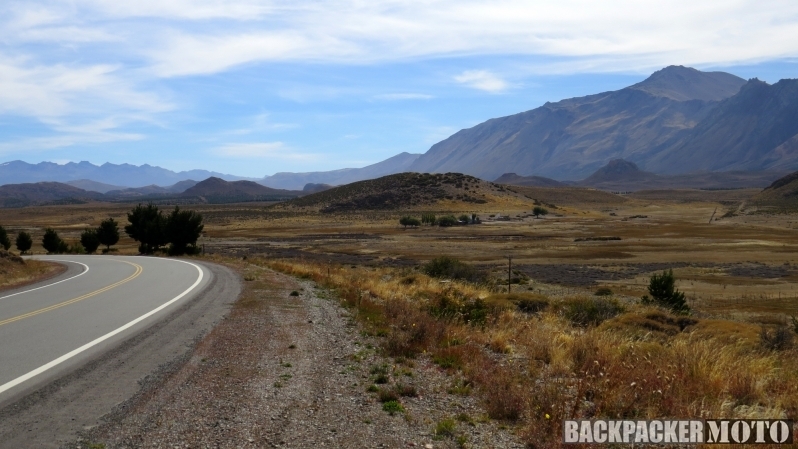 3) You might get hit by a banana truck on some desolate Patagonian dirt road. 4) You might get hit by a banana truck in the middle of Santiago. 5) You don’t know the region very well. 6) You don’t know the region at all. 7) Local banditos/revolutionaries will steal your stuff and hack you to pieces with a machete(s). 8) You won’t be prepared for the wind/cold/rain/snow. 9) You don’t have a daily itinerary. 11) You can’t rebuild a motorcycle engine. 12) South America has jungles. Jungles are dangerous. 13) Your loved ones will worry about you (note: they worry anyway). 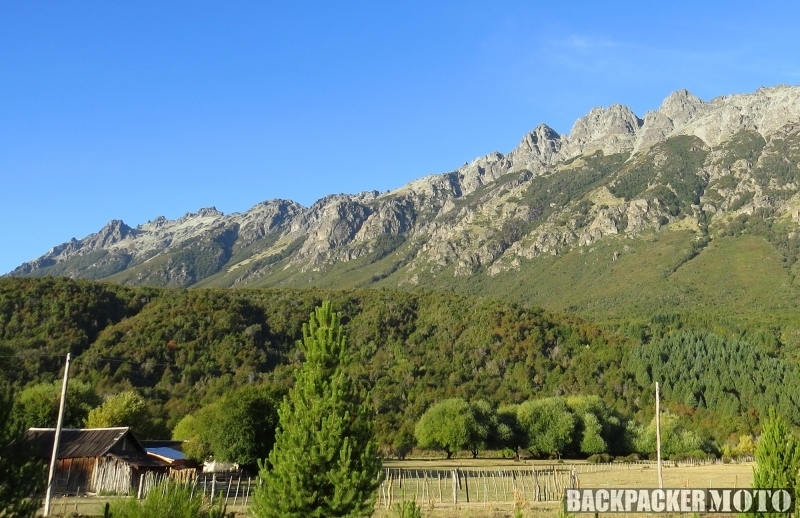 14) Verizon doesn’t have cell towers in Tierra del Fuego. 15) There are less lethal ways to enjoy solitude. I rolled out of the sleeping bag after a perfect night’s sleep under the stars. It was a clear, still morning, the sun already heating up the tent, and for once, not a trace of wind (yet). Sunny or not, it’s only in the high 30s, so I suited up with my max warm clothes to start the day. Speaking of gear, I’ve had complete success living in my Arc’teryx Rho AR as a base layer, followed by a snug Patagonia Down Sweater. Meanwhile, Patagonia Capilene 3 on my bottom half has worked perfectly. 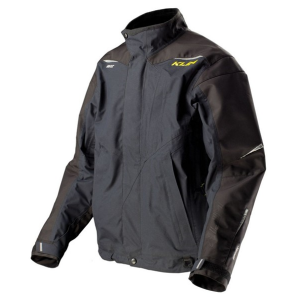 Klim Traverse Jacket has been top notch. Those layers have been covered by the superbly performing Klim Traverse Jacket and Traverse Pants combo, which have been nothing short of miraculous at repelling sprayed gravel, large insects, howling wind and driving rain. Not even soaked sleeves or cuffs have allowed a drop of moisture past these Gore-Tex outerlayers, making me bulletproof against tough weather conditions. I did an inspection of the KLR; everything was looking good. Chain holding steady, rear wheel reasonably straight. 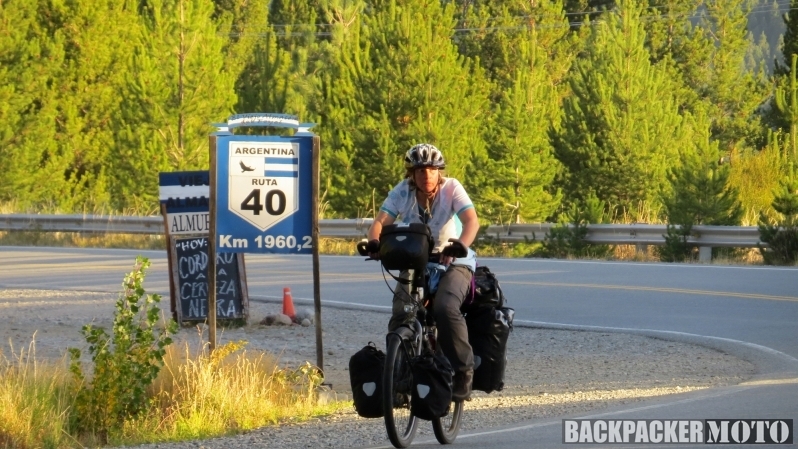 Having drowned the chain in lube at every gas fill-up, I’d now left a stream of Scottoil across the entirety of southeast Argentina. The dreaded eco-posse would have no trouble picking up my trail. 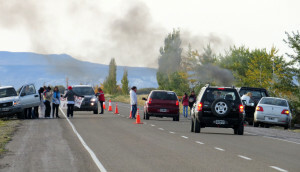 Trash fires burning heavily, throngs of people surrounding vehicles, all traffic stopped in the middle of the highway. Passage was being denied. “Finally! Banditos and revolutionaries!” Eagerly, I prepared to surrender my belongings and join their noble cause… whatever it might be. Squinting into the low morning sun, I tried to make out any machetes or AK-47s long favored by my oppressed brothers and sisters of the eternal struggle. Uhhhhh, no. It turned out to be young single women and housewives, armed to the teeth with friendly smiles and protest banners made from old bed sheets. Politely, they were stopping each vehicle and handing out leaflets. They didn’t even give me one, once they’d discovered I was a Spanishless gringo. Christ, I can’t even get recruited by the rebellious nonviolent homemakers of South America. Yet another dream shattered. 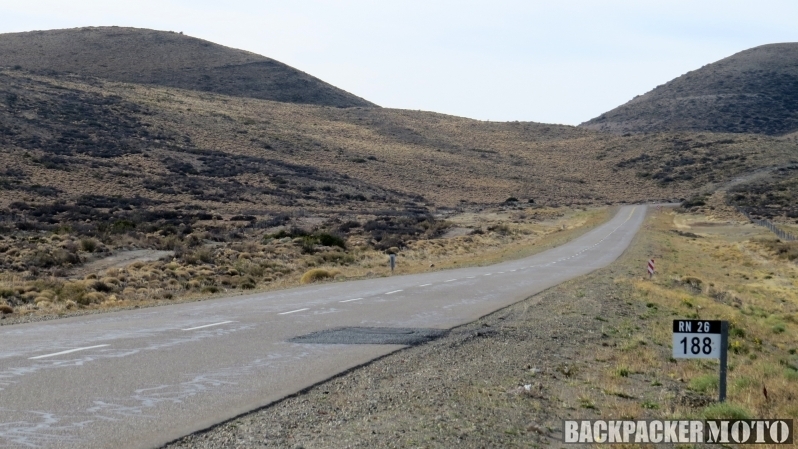 Disgruntled, I continued across RN26 and linked back up with another desolate stretch of Ruta 40. 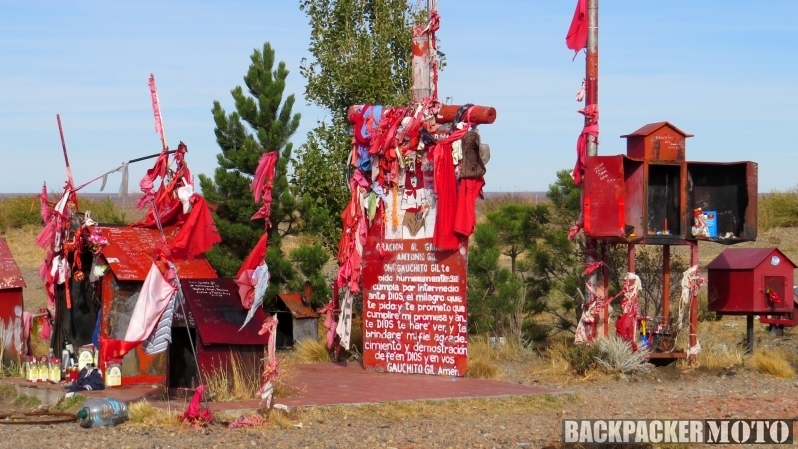 Los Tamariscos, Gobernador Costa, Putrachoique, Tecka, the small towns ticked by. Having turned northbound, the infernal winds were finally at my back; these gales feel as if they’re born from the bottom edge of the world. I suppose they are. Here in central Argentina, I was still further south than my trips to Australia or even New Zealand. 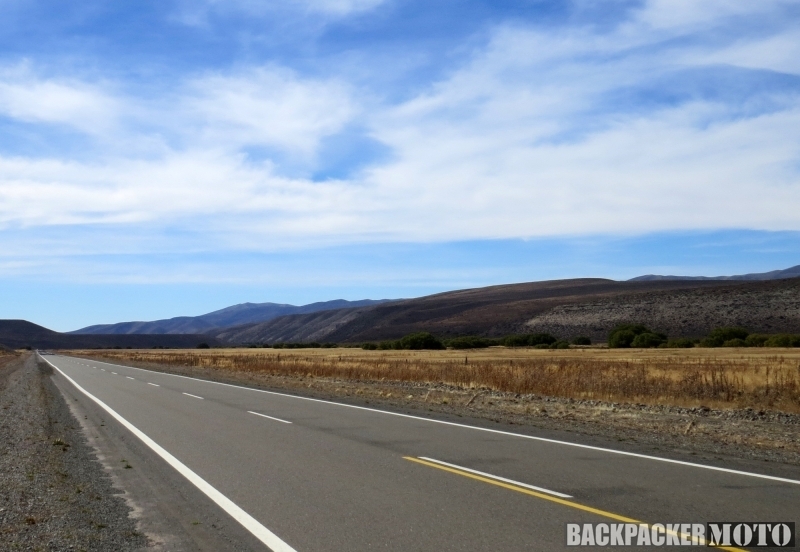 I dove off Ruta 40 for a dash into Esquel, a ski town that confirmed I was back into the mountainous regions of the Andes. For the next 180 miles, it was pure motorcycling bliss, a wonderful bonus that in no way had been expected. 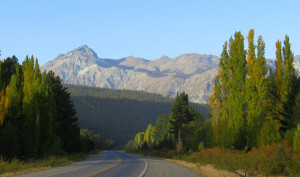 Smooth empty tarmac on curvaceous mountain roads, lake views, high peaks, thickening trees, the smell of pines, and the stunning colors of early autumnal aspens. It was an amazing contrast from the scorched earth landscape of the morning. I took very few photos over this part of the ride. Event documentation has obviously been a priority, but there have been a few moments I’ve wanted to myself. 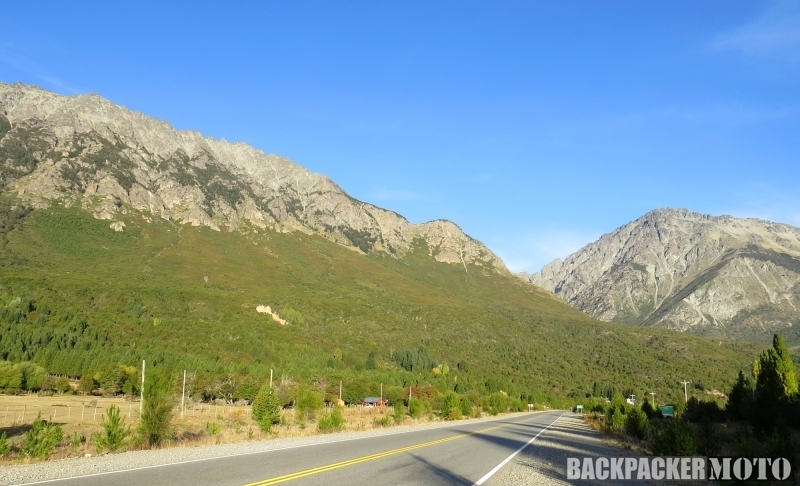 This perfect road, with perfect weather, a late setting sun, brilliant aspens, I just wasn’t motivated to pull over and break the rhythm or the enchantment. 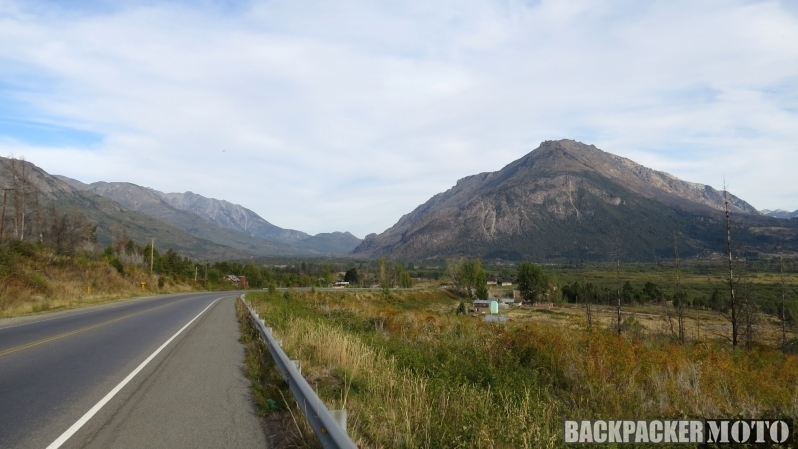 El Maitén, El Hoyo, El Bolsón… I passed through this trio of quaint resort mountain settlements. 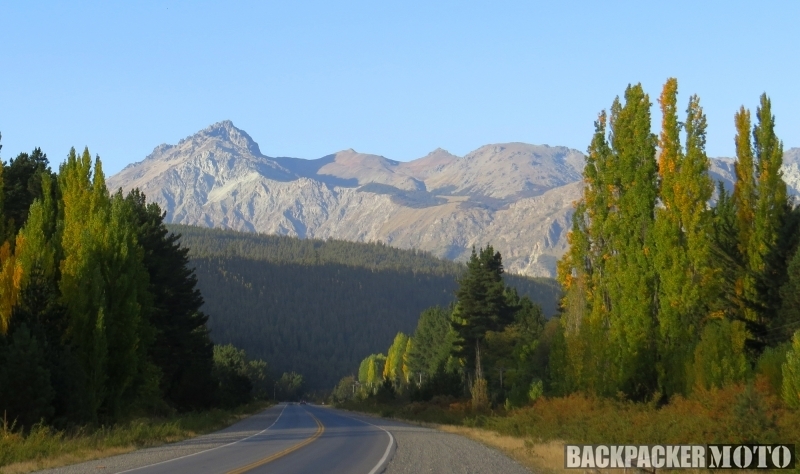 I then took a bypass road around San Carlos de Bariloche, found the small town of Dina Huapi and grabbed a room in a quiet roadside inn. I closed out the evening with a review of my mileage. Good news: I’d logged just over 500 on the day. Not good news: still had 682 miles to go and just more than a day to do it. At the least, I was well-positioned for another unreasonably early departure and the 60 mile dash to my final border crossing back into Chile. The eco-posse! Don’t let them catch you! Did you find out what the Housewives of Argentinas’ colorful sign said? I really want to know. Okay, I made that up, and with that kind of comment, I might as well pour gasoline on myself. I wanted to get a shot of the banner, but they weren’t big on close up photos. Believe me, I wanted to know, too! It shall forever remain a mystery. Ah, well if you’re referring to the red scarves/sign at the top of the post, that’s an entirely different story (and unrelated to our heroic housewives and their bedsheet banners).